But I have also heard elderly people talk about the severe hardships of those old days, and they usually admit that the good old days weren’t always so good. So why, in this age of every convenience and unprecedented wealth, should we be looking back with any kind of fondness at all? Winter will soon be here. 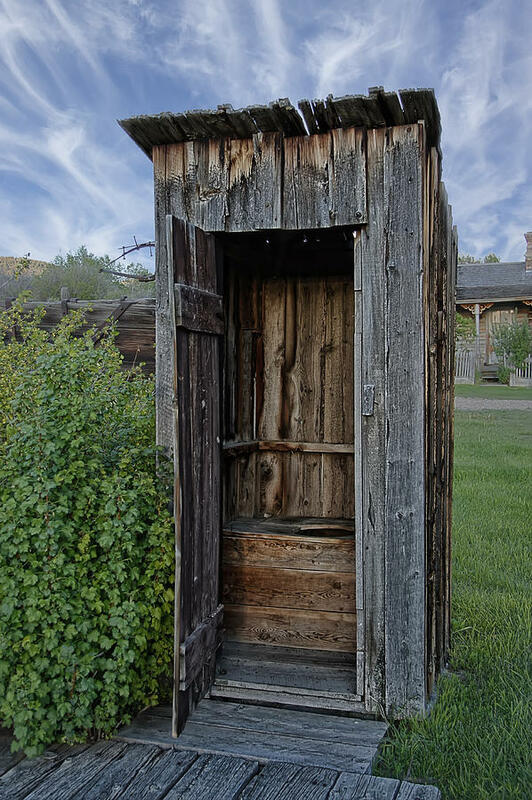 When the temperature dips to twenty below do you think anybody will be wishing for the ‘good old days’ of outdoor toilets? I think back to my immigrant ancestors, those hardy folks who left their homeland to come to Minnesota a century and a half ago. I try to imagine what it would be like if my great-great-grandparents, August and Augusta, could come ‘back to the future’ of 2015 for a visit. Surely they would be dazzled by the ease of life today. The work that even a small lawn tractor could do would amaze them, much more so the huge machinery that can now plant or harvest in a few hours what they worked at for weeks. And what would they think of the quick trip to town in a warm car, instead of a slow ride in a cold horse-drawn wagon? Once there, they would be amazed to see the grocery store aisles lined with everything– bread already baked, strawberries in March, entire meals that could be prepared in minutes. Imagine their astonishment at schools, not just for a few months when the kids were not needed at home, but for nine months a year, with children in separate grades; and then college as a common destination for many, not just the wealthiest. They could also wonder at the incredible health care, not to mention an average life span of 77 years instead of 46, along all the wonders of technology– televisions, cell phones, computers, or even electric lights. One does not have to go back too many years to find none of that enjoyed by anyone. Our great-great-grandparents would probably say that life in modern America is better than anything they even expected in heaven itself. But if life is so good now, why is it that the old days often look better? Many people today do not feel very positive about life today, nor do they think the future will be any better. Despite steady gains, it is common to hear Americans say, “My parents had it better than I do.” Americans tell pollsters that the country is going downhill, that they feel unbearably stressed out, and that their children face a declining and frightening future. The percentage of Americans who describe themselves as ‘happy’ has not budged since the 1950’s, even though the average real income has more than doubled. Far from feeling better about their lives, many are feeling worse. Such gloominess seems strange in a country of ever higher living standards and unprecedented personal freedom, but such unhappiness and hopelessness is common. An author named Greg Easterbrook looked at all of this in his 2004 book The Progress Paradox: How Life Gets Better While People Feel Worse. (2004?– even that is looking like the ‘good old days’!) He lists five reasons why people feel worse even though so many things are so much better, and then he suggests a solution. First his reasons. The first reason is what Easterbrook calls “the revolution of satisfied expectations.” He says that most people judge their well being not by where they stand, but by their hopes for ongoing improvement in the coming years. He said that in the 1950’s people lived in small houses, struggled to afford one car, and few, if any family members attended college. But, he says, they were in good spirits because they expected soon to be earning and possessing more, expectations that were met for decades. But now many people have large houses, three or more cars, and whoever wants to go to college, can go. Many already have far more than they need, so the expectation that each new year will be noticeably better than the last, once deeply ingrained in Americans, is fading. Millions of Americans find that they now have what they once dreamed of having; and it has not made them happy, and so they wonder what will? I Timothy 6:6-8 — But godliness with contentment is great gain. For we brought nothing into the world, and we can take nothing out of it. But if we have food and clothing, we will be content with that. O Lord, Jesus Christ, who art as the shadow of a great rock in a weary land, who beholdest thy weak creatures, weary of labor, weary of pleasure, weary of heart from home deferred, weary of self; in thine abundant compassion, and unutterable tenderness, bring us, we pray thee, into thy rest. Amen. ← 955) When Are We Most Thankful?